Is North Korea Downplaying a Potential Nuclear Test? 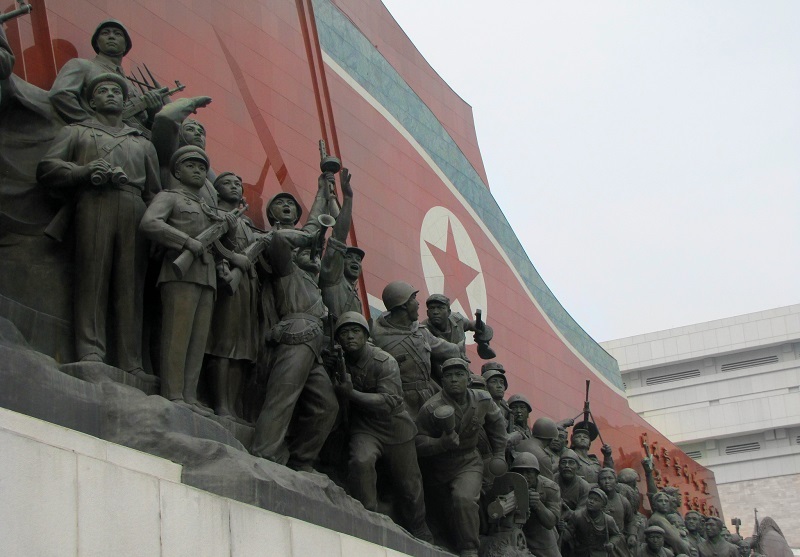 North Korea is unpredictable enough that it could conduct its sixth nuclear test any second. But trying to predict the DPRK’s moves isn’t easy. The best we have to go on are satellite images—we highly recommend the analysts at 38 North—of North Korea’s Punggye-ri nuclear site, showing work consistent with an impending test. But satellite images cannot tell us everything. 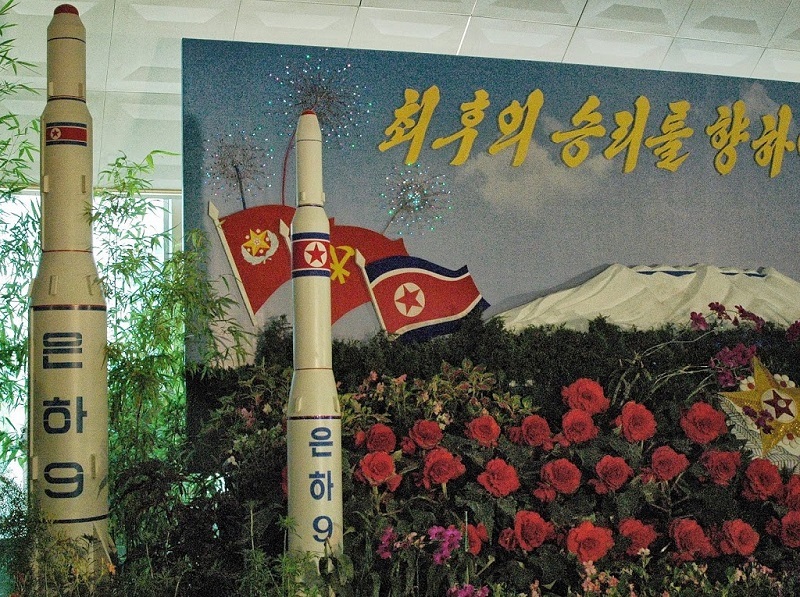 North Korea’s own mastery of subterfuge and awareness of outside attention means that it is “undoubtedly, at some level, attempting to manipulate reporting about developments at Punggy-ri,” 38 North’s Joseph Bermudez and Jack Liu noted in late March 2017. Whether that means North Korea is preparing for a test in the near future or pretending like it is, no one except the DPRK’s leadership knows. Ultimately, the decision is up to Kim Jong-un. It’s pretty certain North Korea will test another nuclear bomb eventually. And the situation is all the more tense given the regime’s impulsiveness, the Trump administration’s unpredictability and South Korea’s state of political near-chaos. Heightening tensions is the impending arrival of April 15, or the Day of the Sun, North Korea’s most important holiday and the birthday of Kim Il-Sung, the country’s late founder. However, while the regime has conducted missile tests on and around this date, it has never conducted any prior nuclear test to coincide with it—or even during the month of April. Why North Korea would conduct a test around holiday this year, instead of every year before it, may be simply media speculation. North Korea also appears to be downplaying its nuclear program, at least temporarily. To see how, it’s necessary to turn to the Rodong Sinmun, the official party propaganda “organ” of the Workers’ Party of Korea, which is widely read by the country’s elites. The paper, at least, has not given any clear hints of an imminent test, or that the government is preparing the North Korean people for a war footing—which it would likely do in the event of a U.S. retaliatory strike following a test. But again, that doesn’t mean North Korea isn’t planning something. It gets more interesting, though. Just before the holiday, Rodong Sinmun recently gave top billing to a major construction project along Pyongyang’s Ryomyong Street, also shown to the international press on April 14 in a ceremony featuring Kim Jong-un. The event was a surprise, and the reporters were not told in advance what it would be. 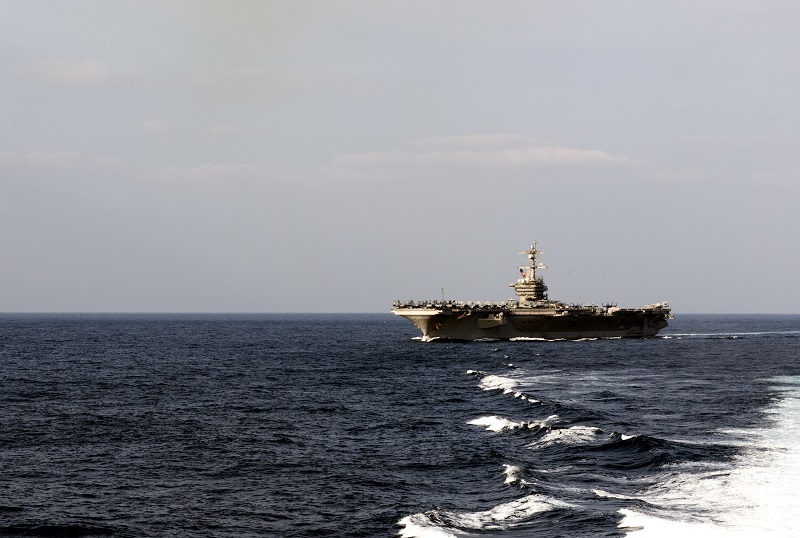 During the event, North Korean officials made no mention of tensions or the USS Carl Vinson carrier battle group steaming toward the Sea of Japan. Even more curious, officials described the project as the equivalent of “100 nuclear bombs,” according to CNN. If you’re Kim, that’s one hell of a way to diminish your own nuclear bomb. While comparing an avenue of skyscrapers to 100 nuclear bombs sounds ridiculous, it’s important to note that North Korea must shape and balance different messages to different audiences. Typically, the regime’s propaganda aimed at a domestic audience—and closer to what the leadership really thinks—is more bellicose than propaganda aimed abroad. In some cases, such as speeches covered by both Rodong Sinmun and the foreign press, there’s a mix. North Korean Vice Foreign Minister Han Song Ryol told the Associated Press that the DPRK will conduct its next nuclear test “whenever its supreme headquarters sees fit”—far into the future, perhaps? That message should be understood as directed to a foreign audience. But the propaganda display on Ryomyong street has a domestic audience in mind, too, and the nuclear program didn’t appear to be high on the agenda. This is noteworthy, as North Korean propaganda has tended to emphasize military strength, derived from the state’s military-first Songun ideology, over economic matters. This has been the case since the 1990s, when the country fell into a major famine and depression. The collapse of the information cordon with the outside world—North Koreans today are generally aware that they are less well-off than South Koreans—has further incentivized the regime into playing up its military-first message, specifically aimed at defending the country from the United States. The appeal of military strength should not be underestimated in rallying North Koreans under the rule of Kim Jong-un and the red-and-gold flag of the Korean Workers’ Party. And if North Korea were to elevate economic matters over military ones, that would represent a major shift in the regime’s propaganda. Because if North Koreans are aware they are poorer, then the regime would give up a major justification for why it exists. But North Korea has not done this … at least not yet. While promoting the Ryomyong project, the regime stressed the involvement of senior military officials and an army of “soldier-builders,” as the army is embedded throughout the North Korean economy. Economic strength, according to the North Korean official line, is an extension of military strength. Which means that over the long term, there’s no hope North Korea will abandon its nuclear program. Defending the country from an American invasion has remained the regime’s primary—some analysts would say sole—rationale for justifying its existence for decades. Nuclearizing the country and reuniting the Korean peninsula through force or coercion has been a top regime priority since the 1960s. There’s also an important election in South Korea coming up following the ouster of former President Park Geun-hye. Moon Jae-in of the Democratic Party, a progressive party that favors a softer approach than the conservative ex-Park administration, is favored to win the upcoming elections on May 9. And that’s a major opportunity for Kim Jong-un. For one, Moon and Trump are polar opposites. Moon may delay the deployment of U.S. THAAD missile batteries to South Korea—something which China is not pleased about, either—and has advocated for negotiations with North Korea without the United States being a party. In the past, Moon has called for a confederation between the North and South—a long-coveted goal shared by the North going back to Kim Il-sung’s dictatorship. Moon has also favored relaxing South Korean national security laws, arguing that they have unfairly targeted left-wing groups. So for Kim, a Moon presidency would be much more favorable to his interests, and lead to a flow of economic aid, as was the case during the Sunshine Policy of the 1990s. The United States being perceived as acting unilaterally will also play badly in South Korea. Moon and centrist candidate Ahn Cheol-soo, the two leading contenders, have already come out and opposed a pre-emptive strike on the North. In these circumstances, it’s quite logical for Kim to raise tensions—such as with a marked rise in missile tests this year—only to pivot and attempt to drive a wedge between allies. The South Korean electorate has repeatedly in the past voted to elect more conciliatory governments after rounds of North Korean provocations. This doesn’t at all mean that South Koreans would wish to live under the North or abandon their alliance with the United States, but there’s little appetite for war. Meanwhile, Kim’s nuclear program will likely carry on as it did regardless. Military strength—and by extension the North’s nuclear program—is still central to the ruling system. An impressive building project in Pyongyang won’t change that. Or, alternatively, the regime could go ahead and detonate a nuclear bomb tomorrow.